Aloe vera, syn. 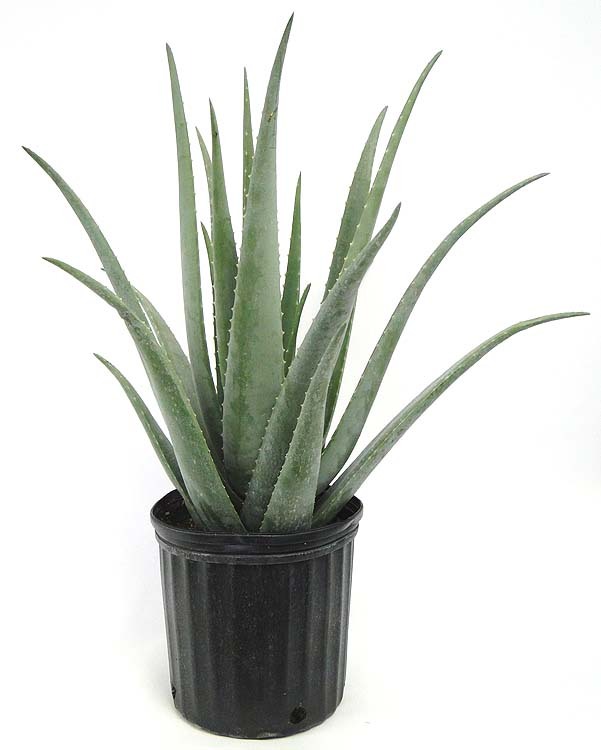 Aloe barbadensis, is a clump forming succulent with fleshy gray-green leaves arranged in a vase shaped rosette. 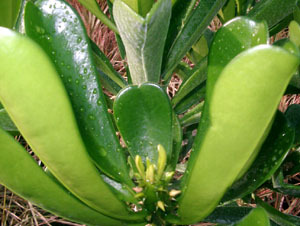 Small “teeth” form along the leaf edges and may terminate in slightly sharp points. 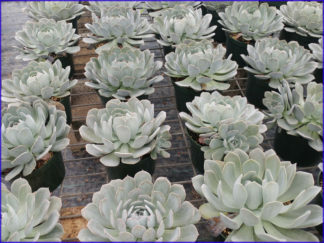 The plant produces offset rosettes continually which may be removed. 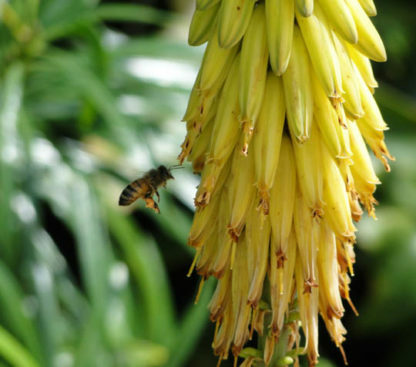 In winter and spring, small yellow tubular flowers on branched stalks up to 3 ft. Only Aloe Vera’s gel-like sap has been shown to help heal burns. 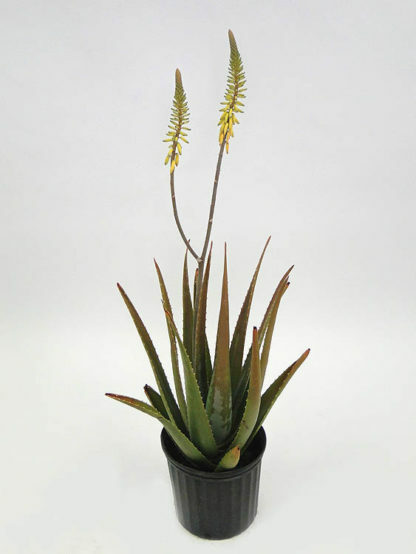 Most aloes are easy to grow requiring light or partial shade to full sun. 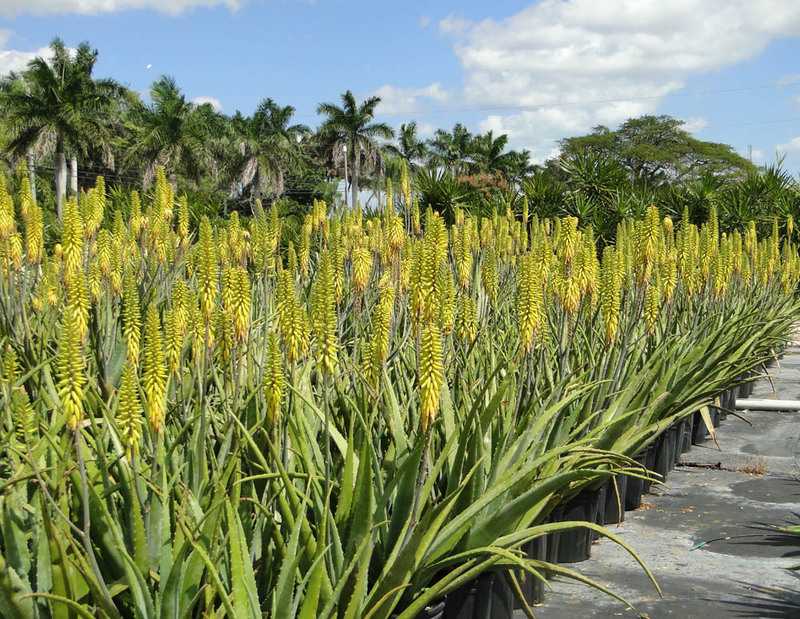 All aloes should have good drainage in sandy or gravelly soils. 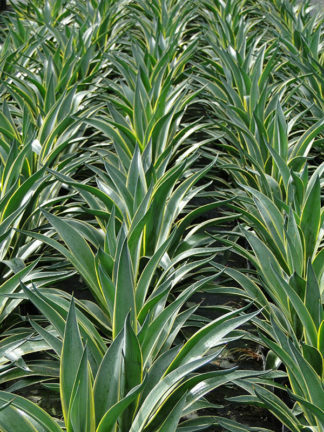 Although mostly drought tolerant, tips of the leaves may wither and curl during hot, dry periods. 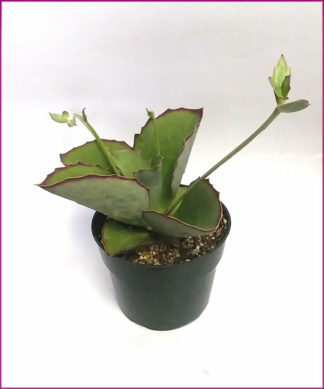 Supplemental watering will keep the leaves plump and juicy. Highly salt-tolerant. 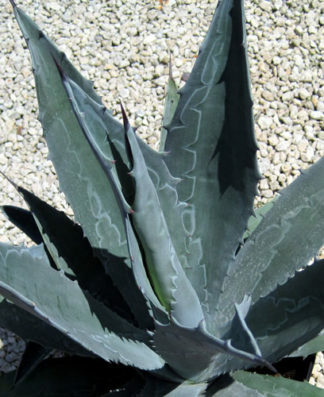 Most aloes are frost tolerant.